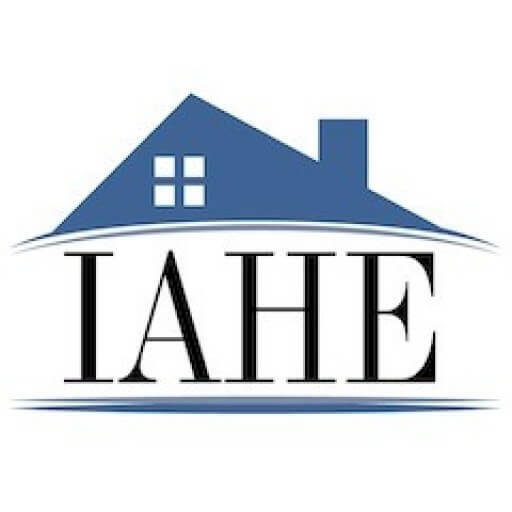 The IAHE often receives contest information and educational opportunities open to homeschool families. This page is provided as a service to our families looking for this type of enrichment. Do you have a contest or opportunity to share? Email us. The IAHE’s own Expressions! Contests! Information about the 2017 Expressions! Contests will be posted September, 2016. The IAHE does not endorse the organizations or contests below, and the content provided is for information only. TREES ARE TERRIFIC IN EVERY SHAPE AND SIZE! The goal of this year’s contest is to increase awareness about the variety of Native Tree Species in Indiana, to educate our youth about Right Tree, Right Place, and to open an opportunity for a broader discussion on diversity in the landscape. The contest is open to all fifth graders, throughout the State of Indiana. We have made several changes in the hopes of increasing participation in the contest and awareness among our young people. One of these steps was to provide several choices for age appropriate lesson plans that can align with Indiana academic standards for fifth graders. We have included some of the standards, and links to the lesson plans below. We encourage you to explore and find the right lesson plan for your classroom. Just like the right tree needs the right place, the right lesson plan needs the right classroom. Visual Arts, 5.8 – Experience the integrative nature of visual arts, other arts disciplines, and disciplines outside the arts, and understand the arts as a critical component of learning and comprehension in all subject areas. Social Studies, 5.3.11-12 – Describe adaptation and how Native American Indians and colonists adapted to variations in the physical environment. Describe and analyze how specific physical features influenced historical events and movements. Science, 5.ESS.3 & 3-5.E.2 – Investigate ways individual communities within the United States protect the Earth’s resources and environment. Construct and compare multiple plausible solutions to a problem based on how well each is likely to meet the criteria and constraints of the problem. Health and Wellness, 5.8 – Students will demonstrate the ability to advocate for personal, family and community health. *Also, please be aware that the Indiana DNR State Nurseries will be sending every elementary school in the state a postcard toward the end of January for the annual tree seedling give-away to all Indiana third graders. This year each third grader from responding schools will receive a Norway Spruce seedling, and each responding school will receive one Black Oak. In order to receive these free trees please respond by the specified date on the postcard, expected to be sometime in mid-February. 2017 John F. Kennedy Profile in Courage Essay Contest is available for the U.S. high school students in grades nine through twelve attending public, private, parochial, or home schools who are under the age of twenty years. FOURTH GRADERS get your minds in gear to blast forward into Indiana’s 201st year! What does that mean to you? What can you imagine that you will do? What will you learn? What will you see? WRITE ABOUT IT!!! WIN THE CONTEST!!! Maybe YOU will inspire other Hoosiers to think about, “The Bicentennial and Beyond” ! The camp is open to students who have finished 8th-12th grades. The cost is $399 plus a $25 activities fee now through July 18. More information about CJI can be found here. The overnight weeklong residential camp runs from July 24-29. Serving as instructors are professional editors and writers from The Indianapolis Star and Michigan media companies. We currently have students enrolled from the following states: Indiana, Illinois, Virginia, Washington state and Michigan. Open to homeschooled students ages 7-19 as of July 1, 2016. This contest benefits the Special Needs Children’s Fund of the Homeschool Foundation. Category 3: Ages 15-19, What’s This? Three winners and two honorable mentions are chosen in each category. Detailed information including prizes, entry fees, and submission requirements can be found here. Topic: Explain why the Federal Government does not have the Constitutional authority to be involved in education. Copies of the winning essays will be presented to the Indiana Governor and State Legislature to read. Essays must be postmarked by August 1, 2016. Judging will be completed by September 1, 2016. Only winners and honorable mentions will be notified. A list of the winners will be available after September 15, 2016 at www.libertyliveshere.org. Your essay will not be returned to you, so make a personal copy before you send it to us. Honorable mentions might also be shared (without exposure of your personal information) as examples of our youths Constitutional knowledge. We invite you to accept the challenge and examine our Constitution and the intent of our Founders with regard to education. Be sure to give us your age and contact information. This contest was first posted on the IAHE Action website. Unique contests happen all year long. Watch this section for past opportunities and plan ahead for the coming year! Thus, Indiana Daughters wish to celebrate our bicentennial by initiating a competition to create a salute to this same flag! This contest is open to all Indiana residents, and the winning submission will be brought before the Indiana General Assembly for approval. Open to Indiana residents only. Submissions by persons less than 18 years old will require signed PARENTAL CONSENT before receiving any award(s). Submissions must be 25 words or less. Deadline for submissions is 11:59pm, Friday, September 2, 2016. Winning submissions become the property of the state of Indiana. Winning entrants must sign a release of copyrights. Open to HSLDA members and non-members alike and offering cash prizesupwards of $200, this contest promises to be a fun, educational experience for all! The theme is “200 Years of Corn and Soybean Farming in Indiana”. The purpose of this contest is to creatively educate Indiana State Fair Visitors about the importance of Indiana corn and soybean farming and products over the last 200 years. The contest is open to grades K-12. The contest is sponsored by the Indiana State Fair Commission, Indiana Soybean Alliance, and Indiana Corn Marketing Council. Winners receive a cash prize and come artwork and essays will be displayed at the Indiana State Fair. A spelling bee for Grades 3-5 is scheduled for 3 p.m. April 2 at the White River branch of the Johnson County Public Library, 1664 Library Blvd., Greenwood, IN 46142. The building is located off State Road 135 between Smith Valley Road and Main Street; phone number (317) 885-1330. The winner will earn a spot in the county spelling bee on April 19. Johnson County elementary schools determine their own spelling champions, but this will be the only opportunity for the county’s home-schooled children to qualify. Competitors should register for the bee by contacting Magen Kritsch at the Daily Journal in Franklin: mkritsch@dailyjournal.net or (317) 736-2770. The local and state Teen Oratory Contest is a great opportunity for high school junior and senior teens to compete and receive recognition and great prizes. For the winner of the RTL of Johnson & Morgan Co Teen Oratory Contest, the prizes are listed below. The winner of the RTL of JCMC Teen Oratory Contest will advance to the Indiana Right to Life State Teen Oratory Contest where the prizes include, first place winner , an all expense paid trip to Washington D.C., with one parent or guardian to the National Right to Life Convention July 7-9 to compete. Trip includes air fare, transportation to and from the hotel, hotel for Wednesday through Saturday night and all meals included. 2nd prize at the IRTL State Teen Oratory: $200, 3rd place:$150; 4th place $100. Right to Life of Johnson & Morgan Co., Inc will hold a Teen Oratory Contest on Saturday, April 16th, at 10:00 a.m., Bluff Creek Christian Church Teen Center, W.144, Greenwood, Indiana. The contest is open to high school juniors and seniors. It is open to those in Johnson and Morgan Co and surrounding counties. If a sophomore would like to compete, they can do so but cannot advance to the State Contest if winning the local affiliate contest. Winners will advance to the Indiana Right to Life State Teen Oratory Contest on May 7, 2016. Prizes for the RTLJCMC Teen Oratory Contest : 1st place $250; 2nd place $150; 3rd place $100. For application to enter and rules, please contact Kay Cull, jkcull5@yahoo.com or call 317-346-4035, C or text: 317-560-0678. High School juniors and seniors, in that grade February 1, 2016 are eligible to compete and advance to the IRTL State Teen Oratory Contest. In the case of advance students, non traditional, or home schooled students, the school must recognize the student as a junior or senior or the year the student will enter college will be used to determine eligibility. Contestants are to research, write and present an original pro- life speech on either abortion, infanticide, euthanasia, or stem cell research. The speech is to be 5-7 minutes in length. Please send for rules and registration form. Deadline to enter is April 12, 2016. Grand Prize: 5 Douglas Bond Books ($100 value), 2-Hour 1-on-1 Coaching Session with Douglas Bond ($200 value) and a $500 cash prize! Grand Prize winner will be selected by Douglas Bond. 4 Runner-Up: Each second-prize winner will receive 5 Douglas Bond books of their choice (published by P&R). • 1-Hour Fiction-Writing webcast with Douglas Bond (March 22 at 4PM EST). The contest entry fee is $15 per participant. Entry Deadline April 8. The IWF Endowment awards a $1,000 scholarship in memory of Charles Holt, a lifelong member and champion of fish and wildlife resources. Applicants must be Indiana residents accepted for study or already enrolled for the Fall 2016 semester as a full-time undergraduate student in an accredited college or university at or above a sophomore level. Applicants should be taking coursework to major or minor in a field related to resource conservation or environmental education. Getting involved in activities such as competitions, events, internships, and research programs are a great way for students to explore their interests, meet like-minded peers and connect with mentors. Scholarships and fellowships can help provide students with the extra boost they need to achieve their academic potential. Below is a list of computing opportunities to assist students on their path to an exciting career in computing. Welcome to the Facing History Together Student Essay Contest! Facing History and Ourselves teaches us to think about the world in a new way, igniting a conversation about how we can build a society free from racism, antisemitism, bullying, and hatred of all kinds. This contest invites students to reflect on the themes, characters, and settings from Harper Lee’s classic American novel, To Kill a Mockingbird, in order to make connections to their own experiences. The contest is an initiative of the Arts, Culture & Youth Committee of the 100th Running Host Committee. The American History Essay Contest was established to encourage young people to think creatively about our nation’s great history and learn about history in a new light. Participating chapters send one winning essay from each of the four grades for judging on the state level. The state will send one winning essay from each of the four grades to be judged on a divisional level. The winning essay from each of the four grades will then be judged on the national level and the winners are announced. Each student participant receives a certificate of participation from the chapter and the chapter winners receive bronze medals and certificates. State winners receive certificates and silver medals. National winners receive special certificates, medals, and a monetary award. For additional contest information or guidelines, please contact your local DAR chapter. One winning essay from all those submitted is sent from the participating chapters for judging on the state level. The state will send one winning essay to be judged on the division level. The winning essay from each division is then judged on the national level and the winner is announced. Second- and third-place winning essays are selected on the national level. Each student participant receives a certificate of participation from the chapter. The national prize is awarded by the NIAF. The 2016 Indiana Junior Duck Stamp Contest is now open! Any student in grades K-12 can participate. The Junior Duck Stamp contest helps young people connect with nature and learn about waterfowl, wetland habitat, and conservation through art. Entering the Junior Duck Stamp contest is easy. All that is needed is to draw an original picture of a native duck, goose, or swan that is 9” x 12” in size in a horizontal format . Entries are judged by age category. Winners in each category receive ribbons and prizes. The State Best of Show winner receives a $100 cash award plus other prizes. Winning artwork is sent to the national Junior Duck Stamp Contest in Washington, D.C. The national winner receives $2,000 and has their entry made into a stamp. Junior Duck Stamps sell for $5.00 and are available at the Muscatatuck National Wildlife Refuge and on-line. Proceeds from these sales are used for conservation education programs. Copies of all of the Indiana winning entries are kept on display at the Muscatatuck Visitor Center for one year. A traveling display of first place winners travels to Indiana State Parks for one year and appears at many art shows and libraries. All original artwork is returned to the student. There are lots of materials available to borrow from Muscatatuck N.W.R. to help you work on Junior Duck Stamp drawings. The Refuge can provide large colored pencil sets, drawing paper of the correct size, mounted ducks to use as art models, a wetland trunk full of books and activity guides, Junior Duck Backpacks filled with waterfowl books and resource materials, copyright-free waterfowl photos, and bird/duck identification guides. There are also curriculum guides available both in electronic and paper format. An official entry blank must be attached to the back of each Junior Duck Stamp entry and is available from the website along with detailed rules. The entry deadline is March 15. The website address is: http://bit.ly/JrDuckStampProgram. 2016 is the 100th anniversary of the Migratory Bird Treaty Act and a very special time to celebrate birds! It’s not too late to submit entries for the Indiana Society of the Sons of the American Revolution contests. Go to http://inssar.org/youth/ for details on the poster contest for grades 3-5, the brochure contest for grades 6-9, and the high school oration contest. Please take advantage of these wonderful opportunities for your student as the generous SAR members wish to encourage today’s youth in studying our nation’s founding. The submission deadline for all these contests is March 1.